High street stores are fobbing off customers who have legitimate complaints and denying them their legal right to have faulty goods fixed. Household name retailers are misrepresenting the law over repairs, replacements and refunds, according to a damning study by consumer champions Which? Its researchers visited 60 shops, including Argos, Comet, Currys, John Lewis and independent outlets, with a complaint about a faulty fridge that was just out of a one or two-year warranty. Staff in just 16 of the stores accepted the fact that, despite the time since purchase, the retailer still had a responsibility to resolve the problem. The Sale of Goods Act 1979 gives consumers limited protection for up to six years after purchase, regardless of store or manufacturer warranties. The Act says that when a product is bought it must be of satisfactory quality, fit for purpose and meet its description. If it develops a fault at a time in its life when this should not reasonably have happened, the shop could be responsible for rectifying the problem. Which? said in these circumstances, the customer should ask for a no-cost repair or replacement. In reality, however, it found many retailers keep customers in the dark about their rights in order to avoid the time and expense of fixing a product. Which? said staff were generally quick to deny any liability. Currys staff performed poorly with one suggesting the customer should approach the Citizens Advice Bureau. Which? found that many stores would refer the customer to the manufacturer, but while some manufacturers may help, the retailer is actually legally responsible to sort out any problem. John Lewis also fobbed off customers in many cases. However, one member of staff was rated as ‘excellent’ after giving a clear explanation of rights.Richard Lloyd, of Which?, said: ‘We’ve uncovered some appalling ignorance by staff. The organisation has developed a free consumer rights mobile phone app to offer advice. Details are also on its website. 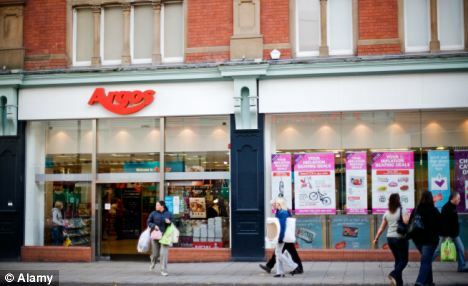 Argos said it was ‘disappointed’ by the Which? findings. It promised to review staff training. Comet said it was pleased that most of its staff performed well and insisted training on the law is provided. 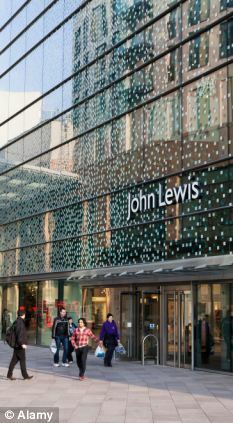 John Lewis said consumers have to prove the cause of any fault where it occurs more than six months after purchase. It was ‘disappointed’ some staff had failed to live up to expected standards. « HOSPITAL bosses will be ‘fined’ £400,000 a month for keeping patients waiting too long in A&E.